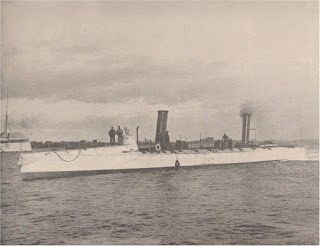 The auxiliary yacht USS Christabel engaged the UC-56 twice off the coast of Spain while escorting a British merchantman. That afternoon an oil slick was spotted by Christabel's crew and later was spotted the wake of the submarine. Depth charges were dropped, but the submarine escaped, and returned to harass the convoy that night. At about 11:00pm lookouts on Cristabel sighted a periscope and immediately maneuvered to fire depth charges. Several successive hits damaged the U-boat, but it escaped and had to cruise on the surface to Santander to prevent its sinking. The crew of UC-56 were interned by Spain, but the U-boat was scuttled rather than be handed over. During the action, a few depth charges became loose aboard Christabel, and at great personal risk Ensign Daniel Augustus Joseph Sullivansecured them, earning him the Medal of Honor. The Italian submarine Gorgo was most likely sunk off Oran by the US destroyer USS Nields. 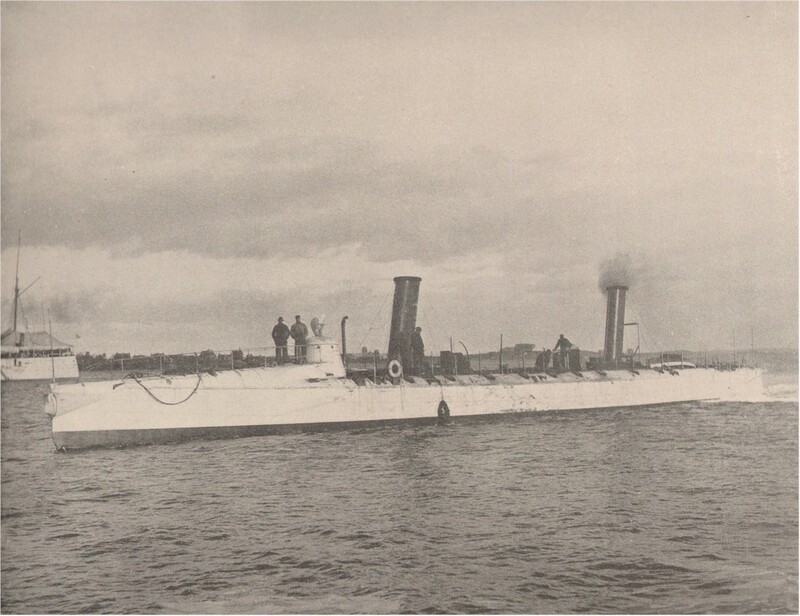 USS Nields was on a anti-submarine patrol out off Oran when a British aircraft reported a submarine contact. At 1716 hours Nields established a sound contact. At 1718 hours she dropped a pattern of 9 depth charges. At 1723 the sound contact was regained and another 9 depth charges were dropped. 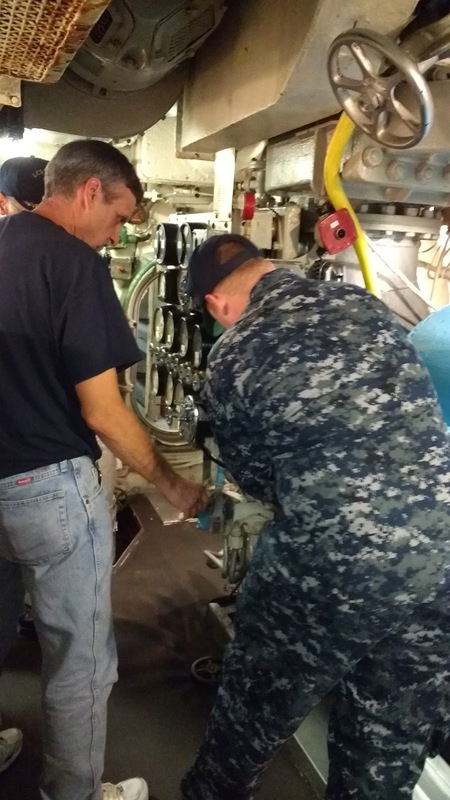 At 1731 and 1741 hours more depth charges were dropped. Within seconds of the last attack, oil patches were observed. This, most likely, meant the end of the Italian submarine Gorgo. 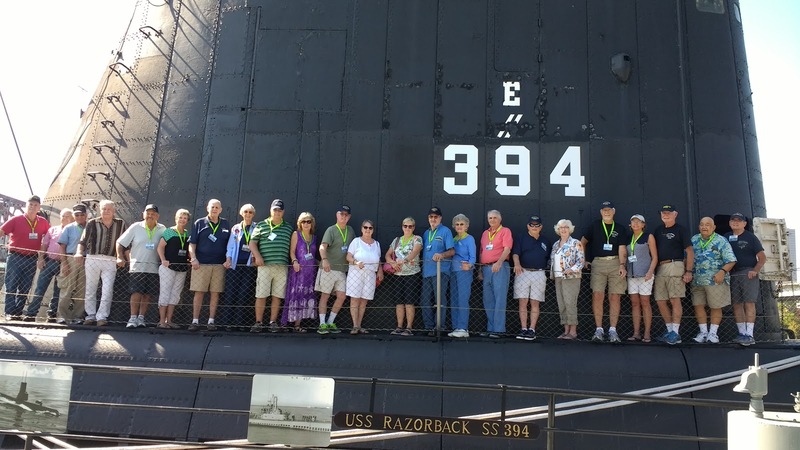 The crew members who served aboard USS Razorback (SS 394) hosted their reunion at the Arkansas Inland Maritime Museum. 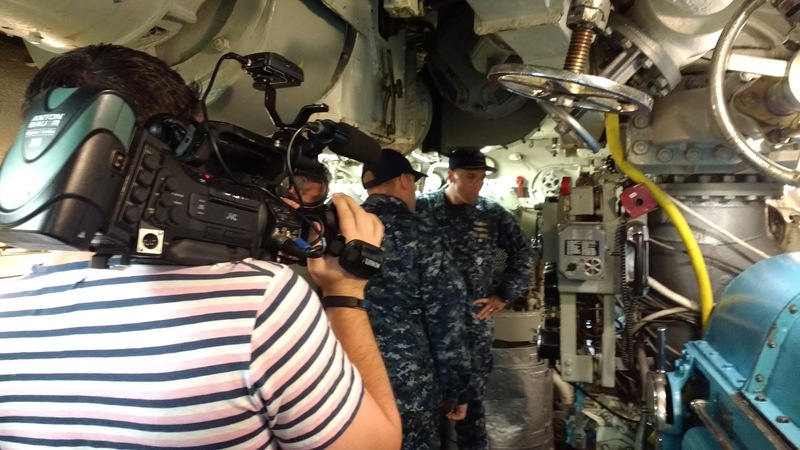 The crew and their guests enjoyed visiting their submarine, providing tours to guests, and starting up the number one engine. During the week the crew visited local attractions and eateries such as Benihanas and the Caterpillar Plant. The museum hosted a Wine and Cheese night, a Mardi Gras themed Ladies Luncheon, and a movie night. The crew enjoyed their time in town and we can't wait to host them again in 2019. 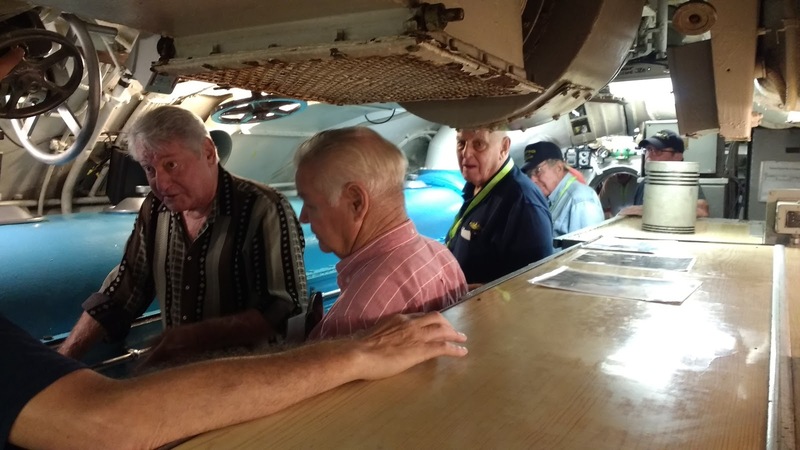 USS Darter hosted their boat reunion at the Arkansas Inland Maritime Museum for the third year in a row. 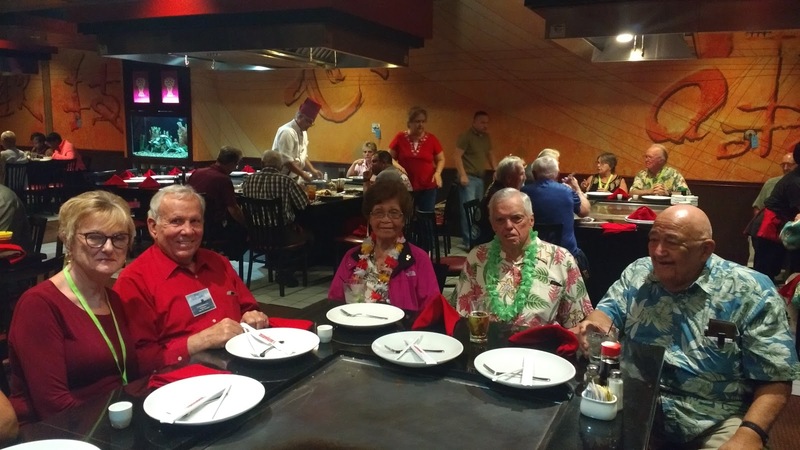 The reunion had 55 crew members and wives in attendance. 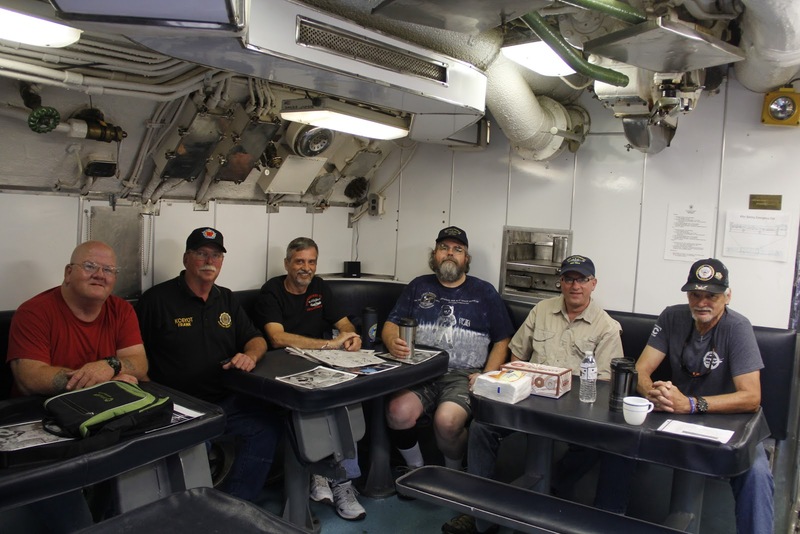 USS Los Angeles had 35 crew members and family members in attendance for their first boat reunion at the museum. Bryce has been a tour guide at the Arkansas Inland Maritime Museum since May of 2012! He started as a shy individual, but became our lead guide. He provided excellent tours to everyone who came to see the submarine and was bragged about on many occasions by his tours. Bryce leaves us to continue his work with his career! Good luck Bryce. Thank you for all of your hard work and dedication. Fair winds and following seas! 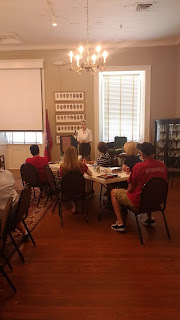 The workshop began at the MacArthur Museum of Arkansas Military History with Shane Lind. Mr. Lind highlighted the museum's Allison Collection of over 4,600 World War II photographs and original posters from the War Relief Program of the United States. The posters are currently on display through October 5, 2017. Col. (Ret.) Anita Deason, Military and Veterans Affairs Liaison for Senator John Boozman's Office, lead a session on The Library of Congress Veterans History Project. Colonel Deason explained that the project is focused on collecting, preserving, and making accessible the personal accounts of American veterans. To learn more about this project, click here. The last session that morning was by Kim Sanders from The Butler Center of Arkansas Studies. Ms. Sanders discussed the Japanese Americans who were forced to leave their homes and relocate to military camps during World War II. 16,000 men, women, and children were sent to camps at Jerome and Rohwer in southeast Arkansas. The center's exhibit "The American Dream Deferred: Japanese American Incarceration in World War II Arkansas" is on display through July 29, 2017. 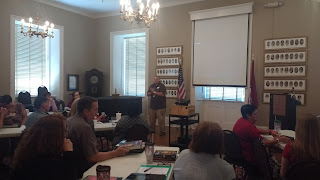 After lunch the workshop moved across the river to the Arkansas Inland Maritime Museum. 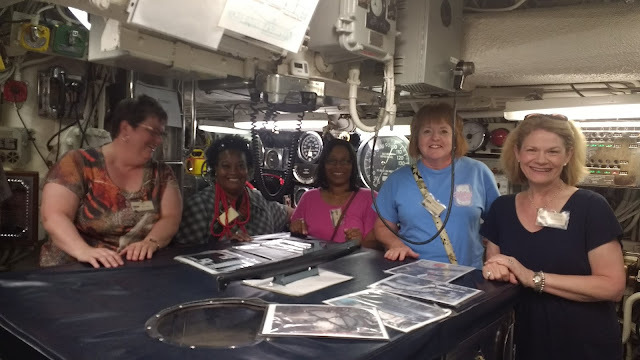 Here educators were taken through the museum to see two naval vessels that represent the bookends of World War II. 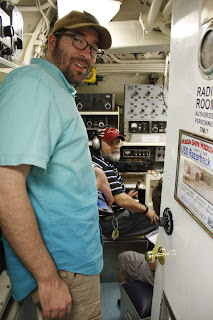 Allison Hiblong provided tours of the submarine USS Razorback as well as assistance in visiting the museum's exhibits. 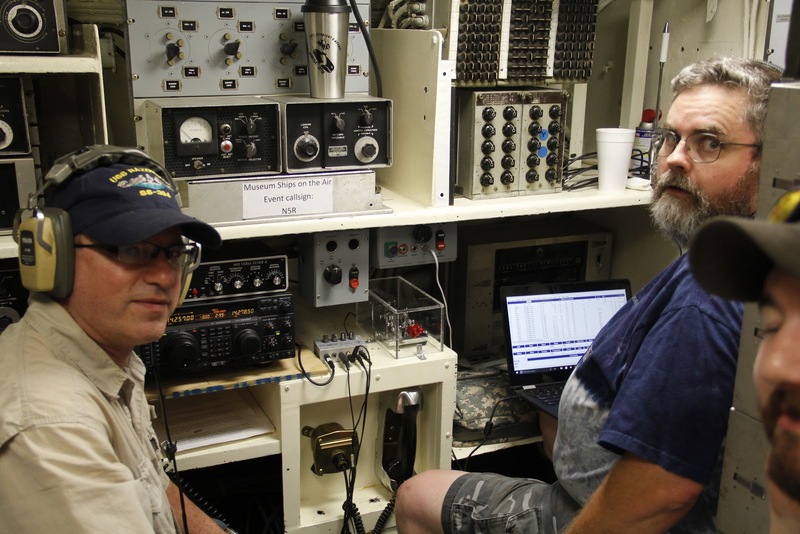 The United States Navy Recruiting District in Nashville, Tennessee promoted two sailors for advancement aboard the submarine USS Razorback (SS 394) at the Arkansas Inland Maritime Museum. 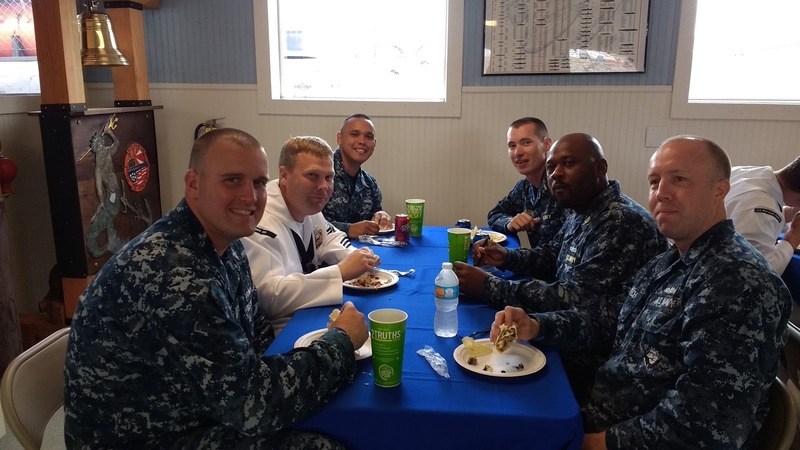 Commander Todd Sullivan selected six sailors for advancement in his district. Two of these were from the State of Arkansas. The men promoted received new "crows" to identify themselves as Petty Officer First Class. Petty Officer Lugo was promoted to First Class. 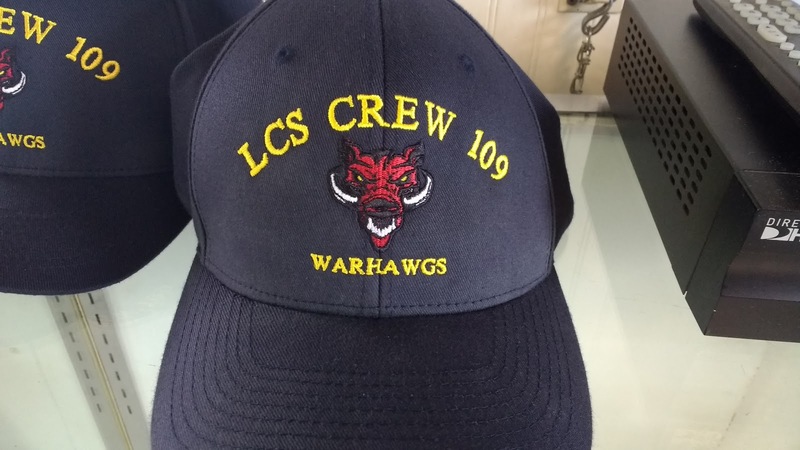 PO1 Lugo is a Navy recruiter stationed in West Little Rock. Olen Williams assisted in the ceremony by pinning his new rank to the uniform. PO1 Lugo thanked the leadership and his shipmates. Petty Officer Bruneel was also promoted to First Class. PO1 Bruneel is a Navy recruiter stationed in Conway. After his wife and daughter pinned his uniform, PO1 Bruneel thanked his family and stated the "job is easier with their support." The Arkansas Inland Maritime Museum is happy to be a part of this ceremony. 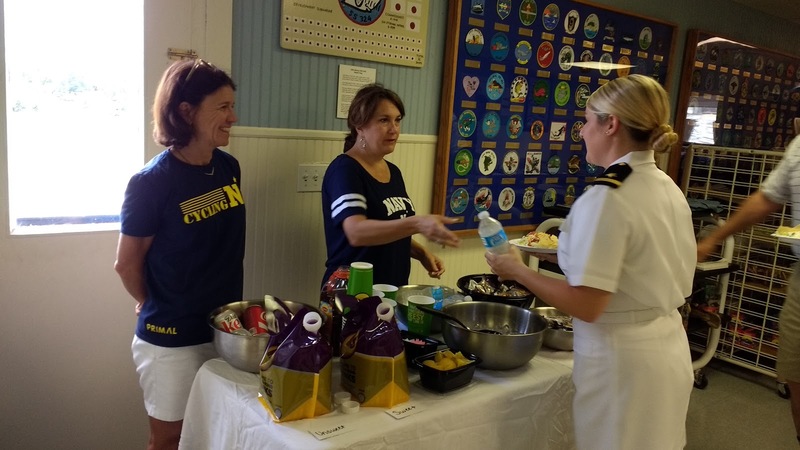 We love to support the United States Navy and those who serve! Fourth of July the Arkansas Inland Maritime Museum hosted 140 people for the 34th Annual Pops on the River firework display. The event was a huge success with tickets selling out five days before the event! We look forward to hosting this event annually. See you next year for the closest place to watch the fireworks. The Arkansas Inland Maritime Museum participated in Museum Ships On Air weekend event from June 3-4, 2017. Amateur radio operators broadcasted from the radio shack on board USS Razorback (SS 394) submarine. The first contact was made on Friday June 2, 2017 at 21:58 CTZ with Denver, Colorado. 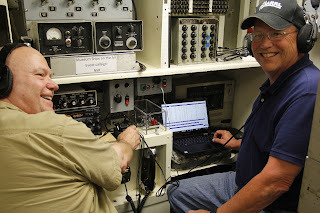 The last contact was with USS Indianapolis in Indiana at 18:13 CTZ on June 4, 2017. USS Razorback was able to make contact with eight other museum ships. 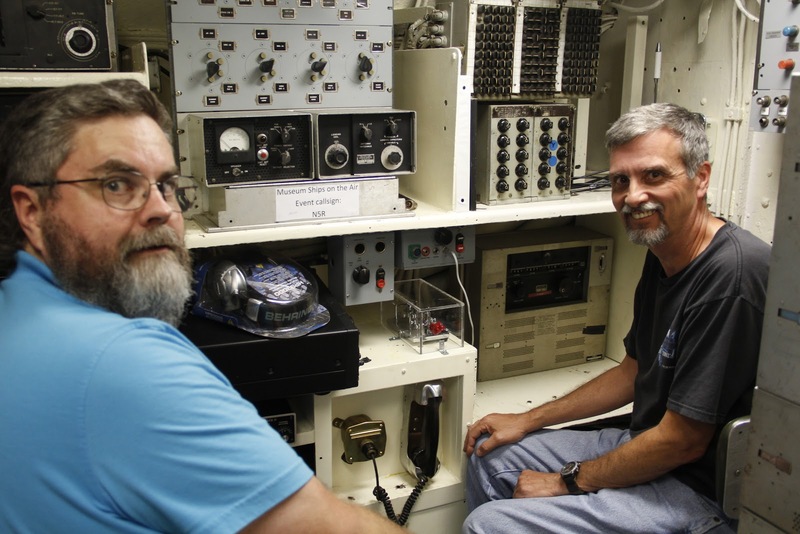 The operators at the Arkansas Inland Maritime Museum included two operators out of Kansas and seven operators from Cabot, Arkansas. 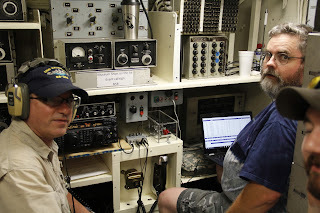 John Moore, a submarine veteran, and Don Whitney came from the Kansas City Metro area. 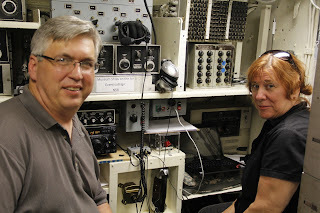 This is John and Don's third time broadcasting aboard USS Razorback (SS 394). 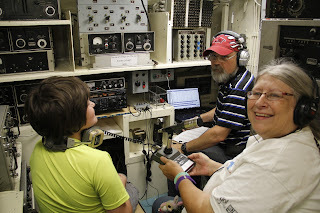 Frank Stars organized a local group from the Cabot Small Town Amateur Radio Service and Cabot American Legion. 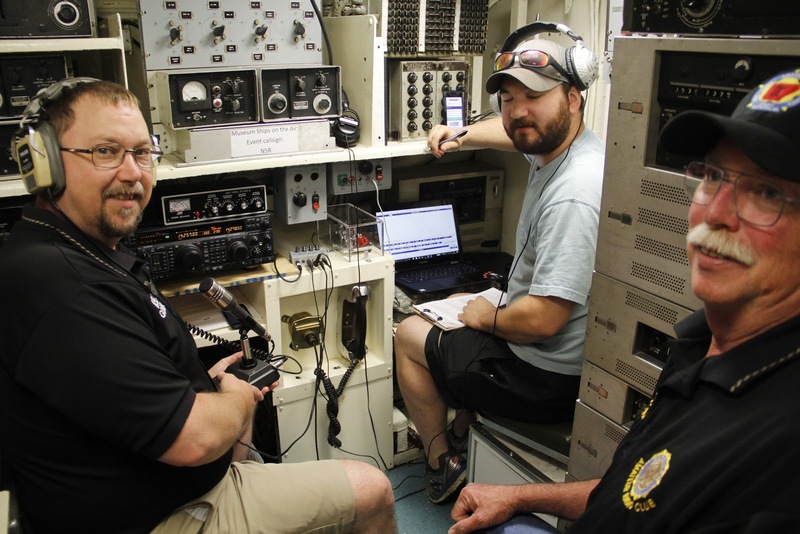 During the event, Josh Carroll from Arkansas Section Bulletin podcast attended the event and spoke with many of the operators. A big :THANK YOU" to our staff member Joseph Mathis for his work and organization of this event! 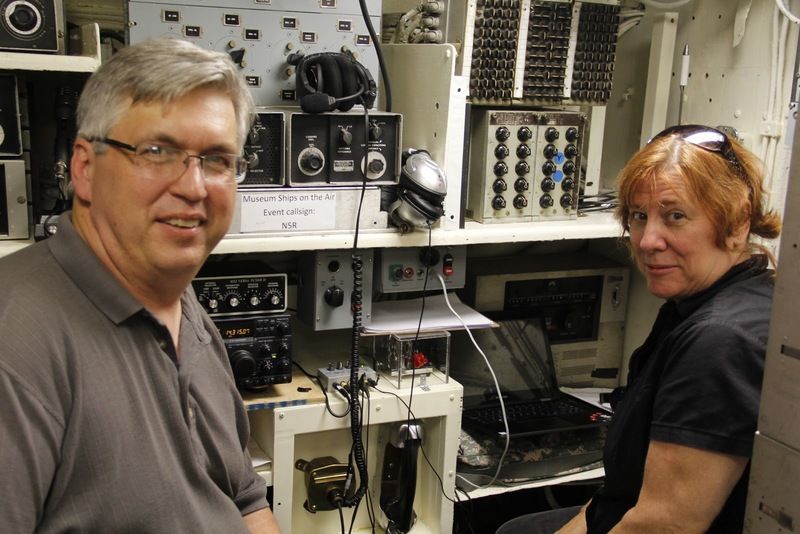 The Museum Ships Weekend Event is sponsored by The Battleship New Jersey Amateur Radio Station. Museum Ships on the Air has become an annual event that many amateur radio operators look forward to each June. This year there were 109 participating museum ships in 13 countries. National Pollinator Week, which ran from June 19-25, celebrates the animals that pollinate plants and helps raise awareness about conservation issues relating to these animals. The Arkansas Inland Maritime Museum partnered with the Witt Stephens Jr. Central Arkansas Nature Center, a part of the Arkansas Game and Fish Commission, for their Pollinator passport program, which was a scavenger hunt where children visited various sites around Central Arkansas and answered questions related to pollinators. The museum contributed with a display about USS Hornet and USS Wasp, the two United States Navy ships that are named after pollinators. Hornet and Wasp are two of the most prominent ship names in U.S. Navy history. There have been eight Hornets and ten Wasps. the original Wasp and Hornet among the first ships purchased by the fledgling U.S. Navy in 1775 and served in the American Revolution. Ships of these names also fought against the British with distinction in the War of 1812. 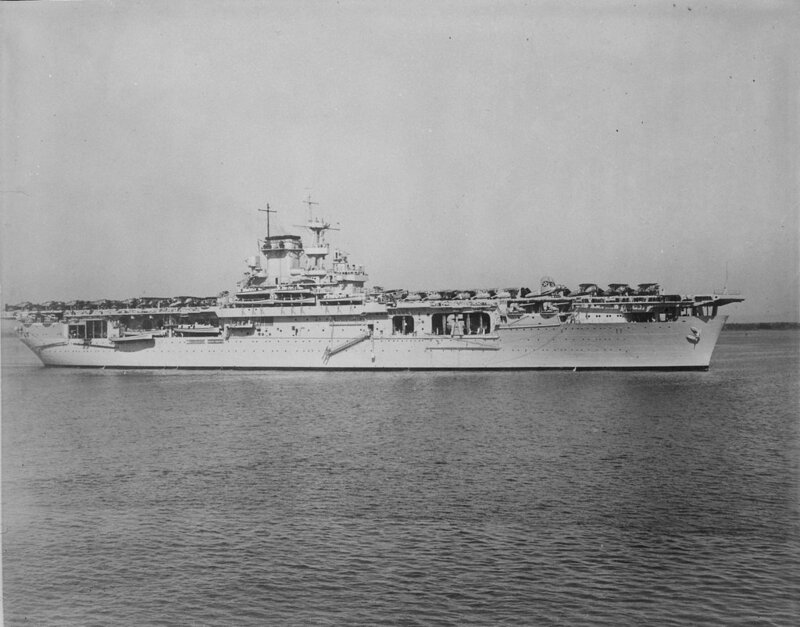 USS Hornet became the first navy vessel to capture a British warship during the war. During the Spanish-American War, Hornet and Wasp were both civilian yachts that were converted into gunboats which distinguished themselves during operations off the coast of Cuba. 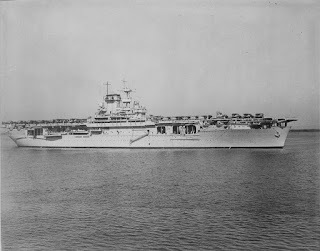 During the early part of World War II, Hornet and Wasp were aircraft carriers which took part in several of the key battles of the war in both the Atlantic and Pacific theaters before both were sunk by the Japanese during 1942. Their names were then given to two later aircraft carriers that served through the end of the war and beyond. Both ships recovered astronauts for NASA during the 1960's before being decommissioned. Wasp was scrapped in 1973 while Hornet was turned into a museum in Alameda, California (click here to learn more about USS Hornet museum). 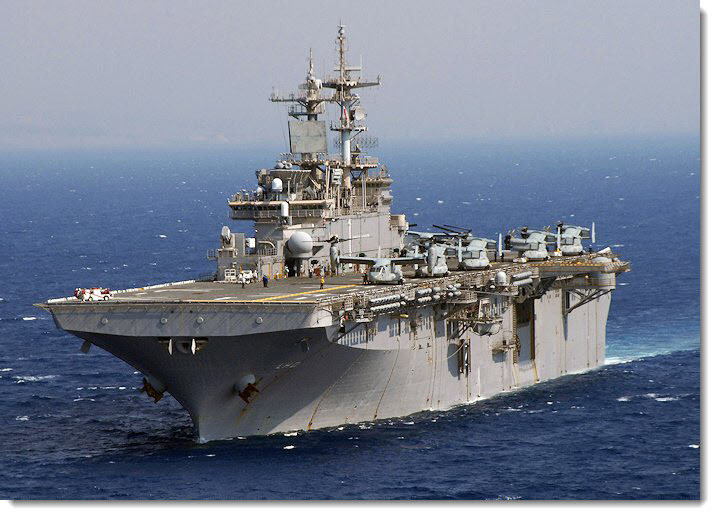 In 1989, the name Wasp was given to an amphibious assault ship which is still serving today. USS Little Rock (LCS 9) is a Freedom-class littoral combat ship of the United States Navy. 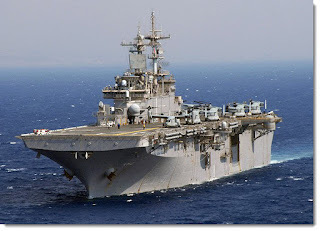 This is the second ship named after the capitol city of Arkansas (USS Little Rock (CL 92) is a museum ship in Buffalo, New York). The keel was laid on June 27, 2013, and christened on July 18, 2015. The commissioning with take place in late September of 2017 in Buffalo, New York. The commissioning of USS Little Rock will mark the first time in the Navy's 240 year history that a ship will be commissioned alongside its namesake ship. 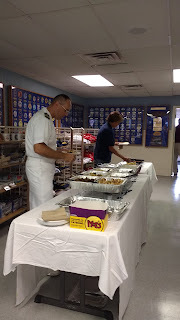 The North Little Rock Convention and Visitors Bureau provided lunch for the crew's visit. United States Naval Academy Parents Club of Arkansas volunteered their time to serve and enjoy a meal with the crew. The crew members completed some maintenance work at the museum. They were able to start the Fair Banks Morse engine, as well as paint Hoga's upper deck. Thank you Little Rock crew and good luck with your sea trials.